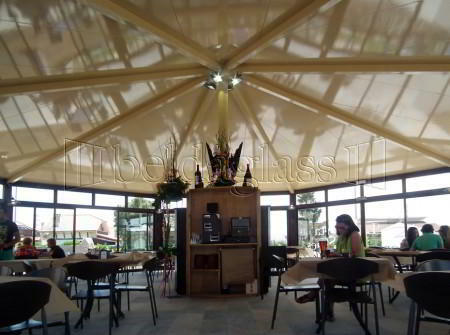 Over 25 years creating new spaces for your comfort. 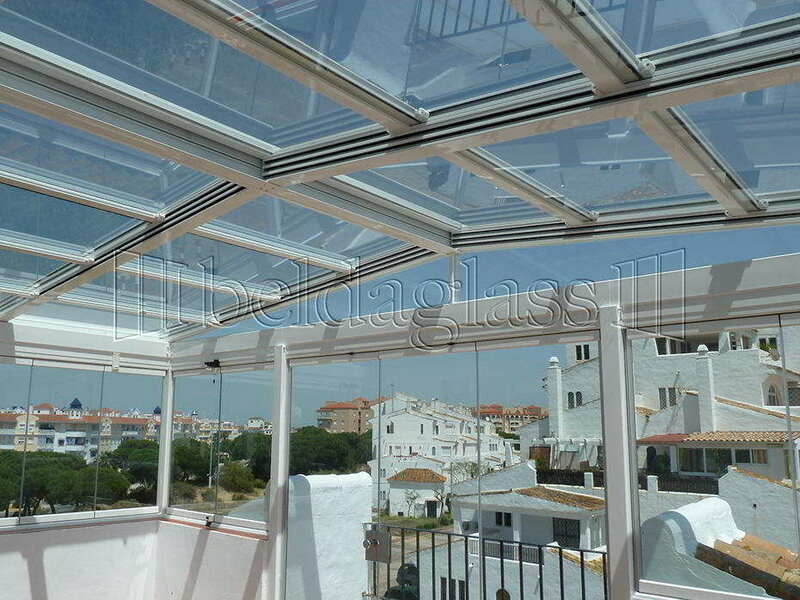 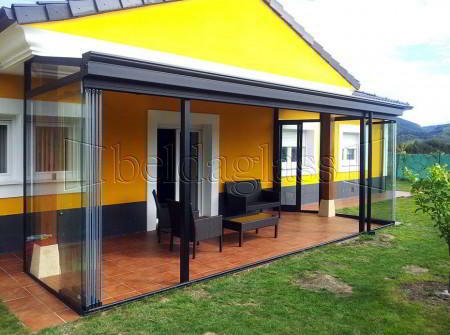 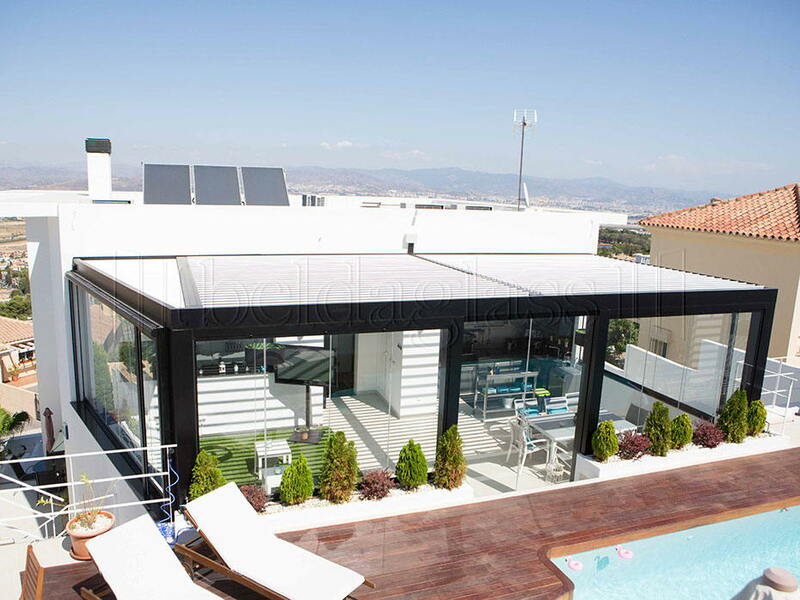 Glass roofs are the ideal solution for porches, pergolas and in general for any terrace penthouse or patio. 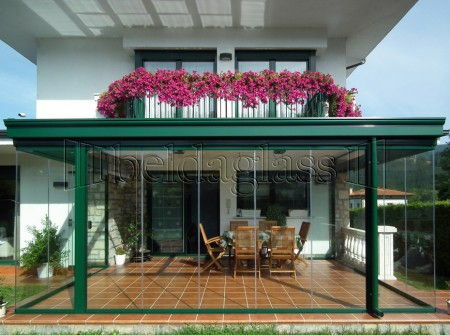 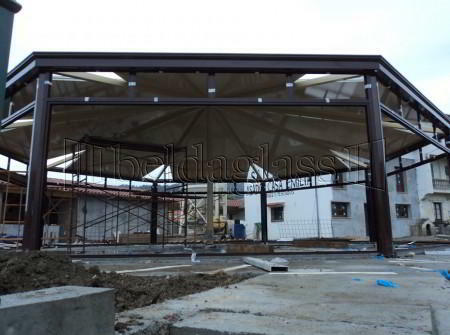 They are roofs made in aluminum which are useful in any time of the year, so they protect you from rain, wind and noise. 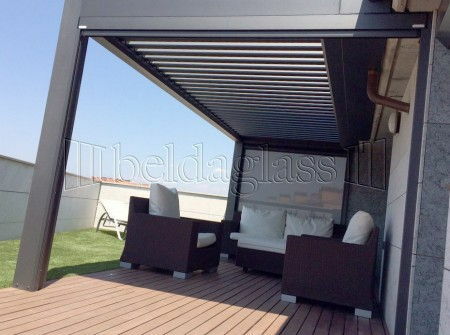 Support structures of our roofs are made of galvanized steel beams and poles lacquered with a wide range of colors and wood effect. 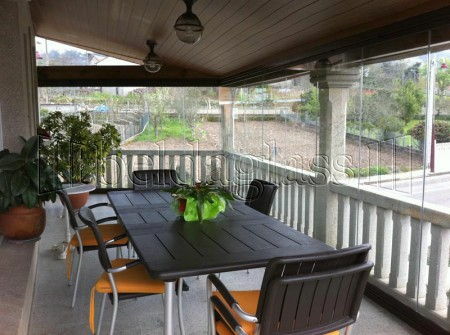 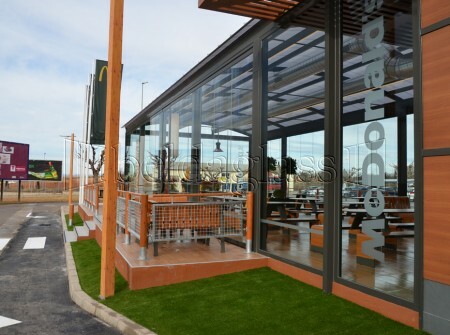 The bioclimatic pergolas system is indicated for terraces and gardens, has motorized slats, integral with a sturdy metal structure. 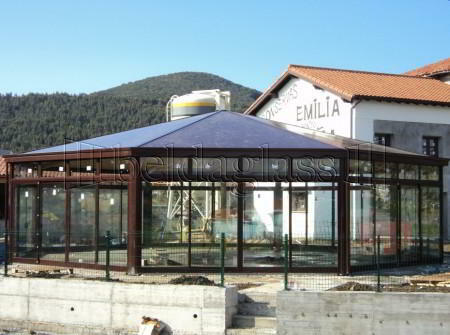 It has a dual function. 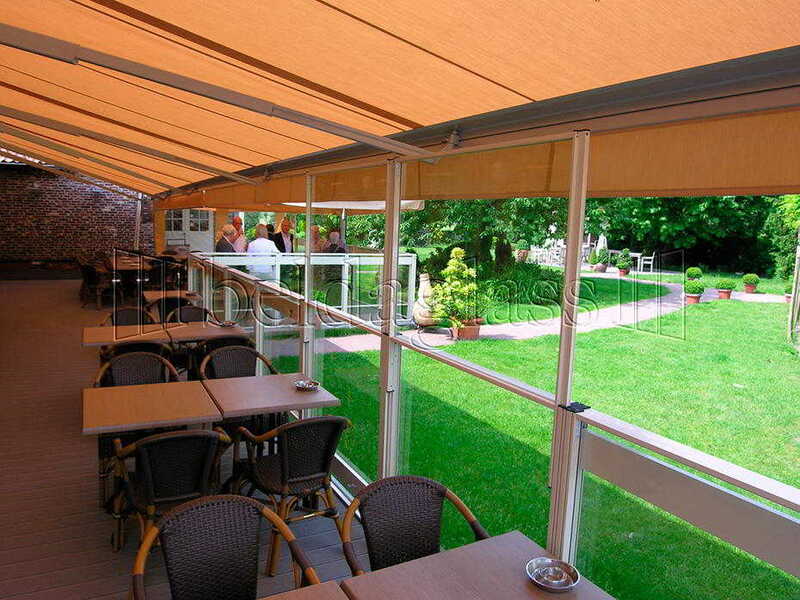 On the one hand the bioclimatic pergola allows at all times regulate light passing between the slats, helping to create a more or less cool environment in adaptation to the time of day. 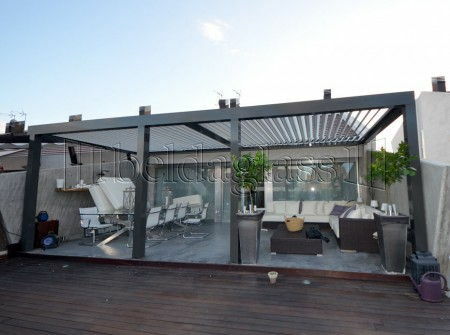 If the terrace remains open, is usually a space being wasted but if it closed, can lose much of its charm. 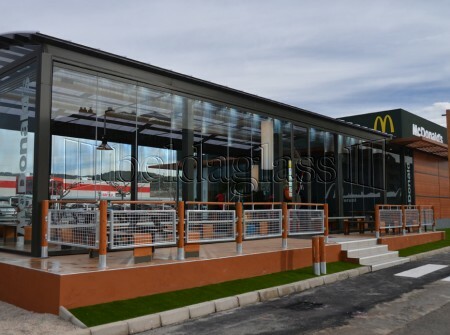 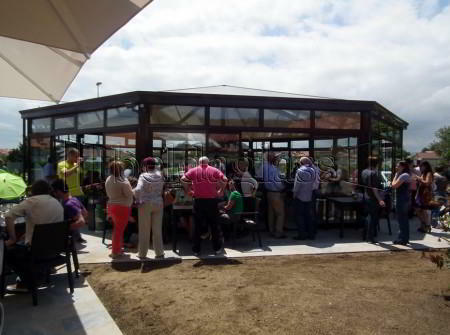 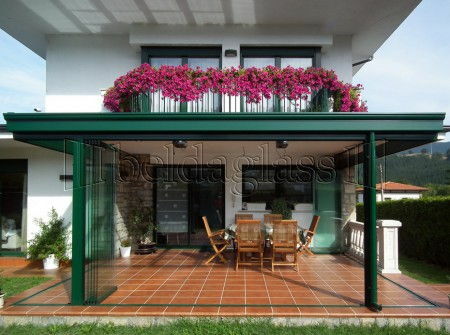 Therefore the way to make it useful and practical all year round, while avoiding the feeling of being enclosed, is an terrace enclosure which does not alter the view to the outside by any vertical obstacle or break with the architectural design facade. 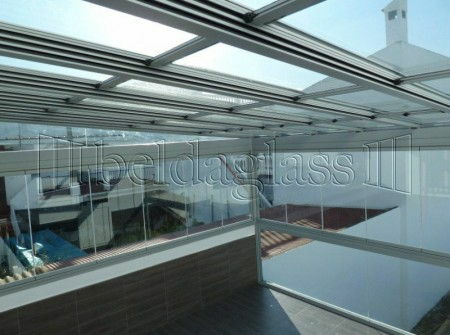 Thanks to their adaptability and design, glass curtains provide a significant increase in usable space, giving added value to your property. 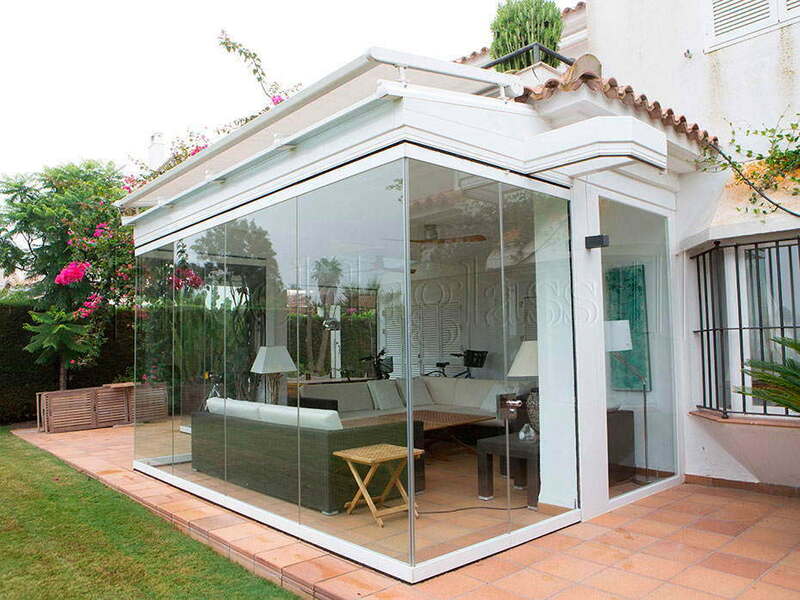 In addition they can be discreetly integrated into any architectural structure. 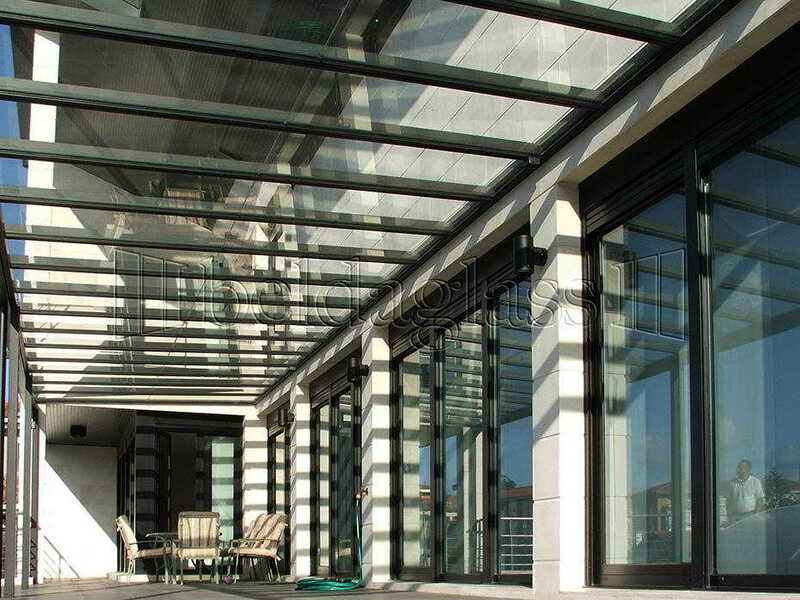 A enclosed terrace protect against wind, rain, noise and dust; when it is opened allow enjoy all the surface.